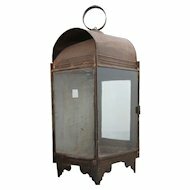 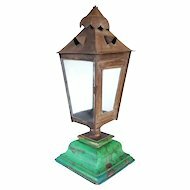 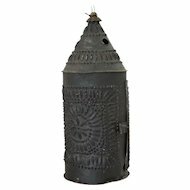 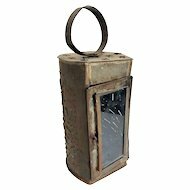 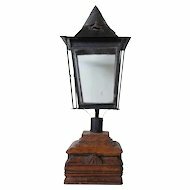 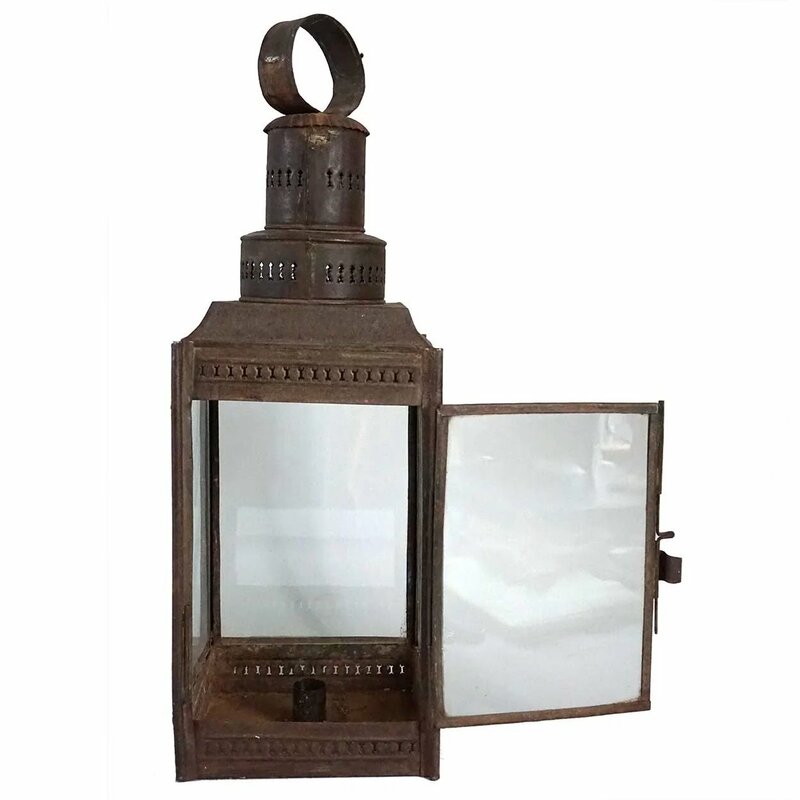 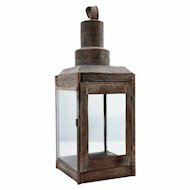 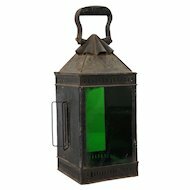 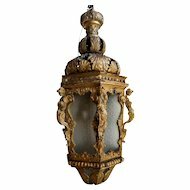 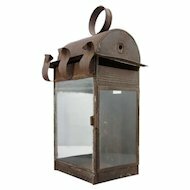 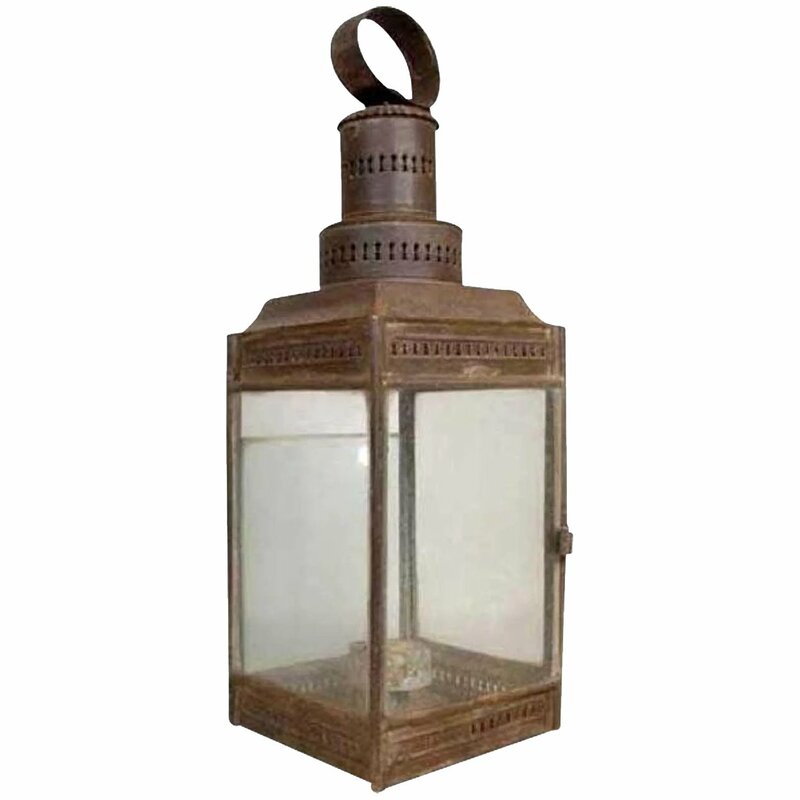 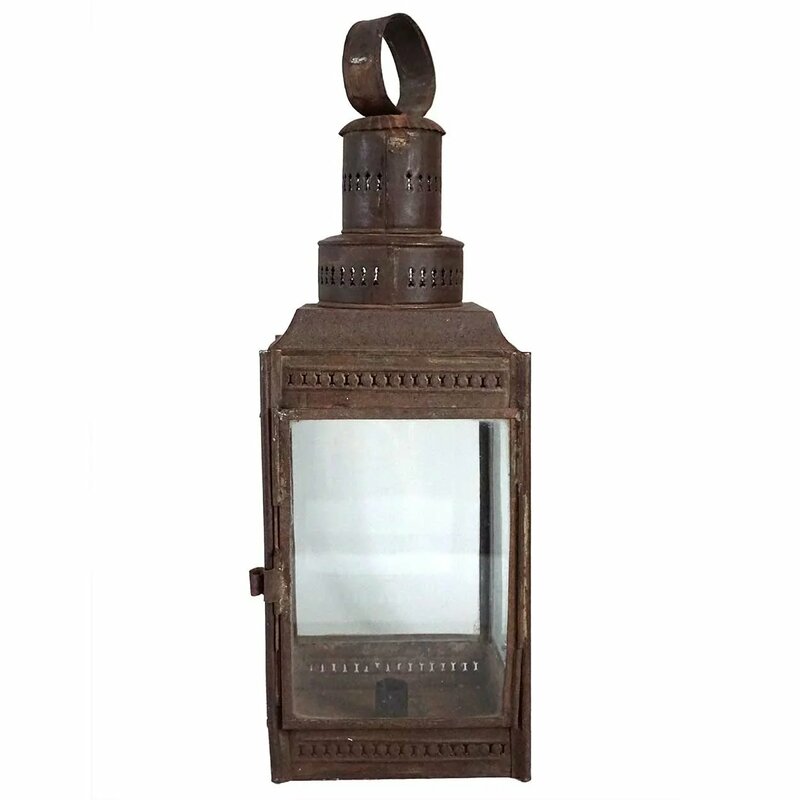 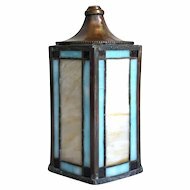 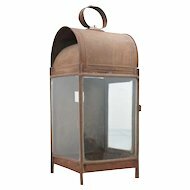 An antique, painted tin lantern with a rectangular glazed case, with a hinged side door. 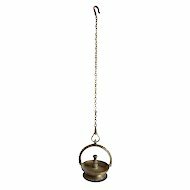 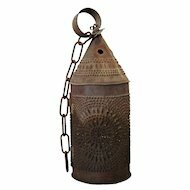 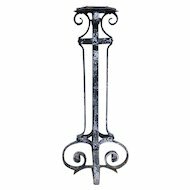 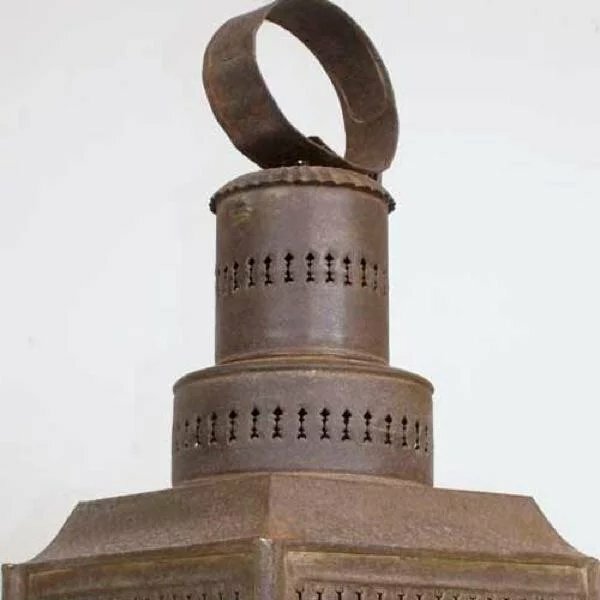 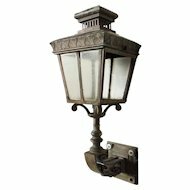 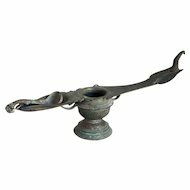 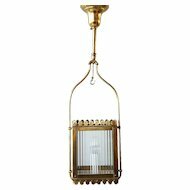 It sits beneath a stepped round, pierced chimney and ring handle for carrying or hanging. 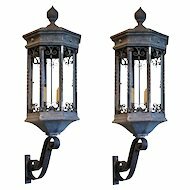 Width 6.5 Depth 6.5 Height 20 in.